Are you glad it is spring? The spring season brings fresh starts, new beginnings, growth, and new life! God is growing the Ramondetta family and our church family too! 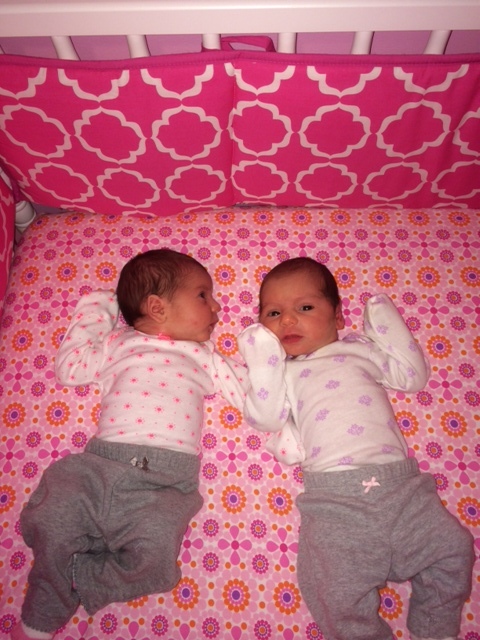 We are so blessed to welcome Ella Grace and Kate Marie Ramondetta to our family. Our sweet twin daughters were born on March 1oth. Thank you so much church family for your loving prayers, concern, and acts of love! The meals have been a great blessing and delicious too. Thank you! We also have welcomed ten new families to EBC. Praise the Lord! As we get ready for Easter Sunday (April 5) it’s clear we are growing together as a church family! What’s Been Happening at EBC lately? Our EBC ladies put together an awesome baby shower, in January, for Miss Emily! We are so grateful for all who helped plan and for the love that was shown to us! We had an outstanding Discover EBC orientation Class in January! We are blessed to welcome ten new families to EBC! We are so thankful for how God is growing our church. God blessed the sermon series, “Jesus Loves Me” in February and March! Oh how He loves you and me! The Resistance Teens had a delicious progressive dinner last week! Thanks to all families who helped make it great! The nursery training went great this past Sunday! I am thankful for Miss Lesia McKinnon and all the ladies who serve in the nursery. What you do is vitally important and helps our church accomplish our mission! Our Spring Revival, “Focus on the Family” was a great success! Each service the music was a blessing and the messages from Dr. Shoemaker, and Pastor Mike Grover stirred our hearts! The attendance was fantastic as well! We averaged close to 100 in attendance in each service. I’ve already heard testimonies of how God worked in hearts and families! I know God revived my heart how about yours? Celebrate Easter at EBC on April 5th! Let’s get excited about celebrating one of the greatest events of all time: Easter. This is the day Jesus Christ our Lord arose from the grave! Because He lives we can face tomorrow with hope and spend forever in heaven one day. On Easter Sunday, all guests will receive a free gift! Kids will enjoy Easter candy and activities! There will also be inspiring music and a practical message just for you! You won’t want to miss this exciting day so come and be sure to bring a guest with you. (Invite ticket included) There will be no Sunday school on this day. How can we have the best Easter ever at EBC? How can we celebrate Easter together? Join me and pray for our Easter Sunday services (11 a.m. & 6 p.m.)! Be present! Pass out invite tickets! Invite and bring guests with you. And, give an Easter offering! God is growing and expanding our church in every way. Families are being changed by the power of the Gospel of Jesus Christ and joining our church family. You can give an Easter offering above your tithes to help our church continue to grow healthy and be able to minister effectively to those God brings to our church! You can also give an Easter offering for our nursery project. We are going to wire the sound of our services into the nursery so our ladies can be blessed by the music and message as well. You can also give an Easter offering so we can make needed changes to our sound and media ministry. They need a tune up and some new equipment to help with growth needs and to make our Sunday services more effective and dynamic. There are many ways to give your offering. You can give your offering online (ebclife.org), give during one of our services, or even mail in your offering if the need arises. Things are getting real exciting at EBC! Thank you for your faithfulness to be a growing disciple of Jesus and an engaged member! As each one of us decides to attend, worship, serve, invite, give, and celebrate we will continue to grow together as a church family and have a great Easter! Has God worked in your life recently at EBC? Leave a comment! Fall Is Here! And it’s gonna be exciting! Did you enjoy your summer? Ours went great with some unexpected earth shattering news that comes in twos. 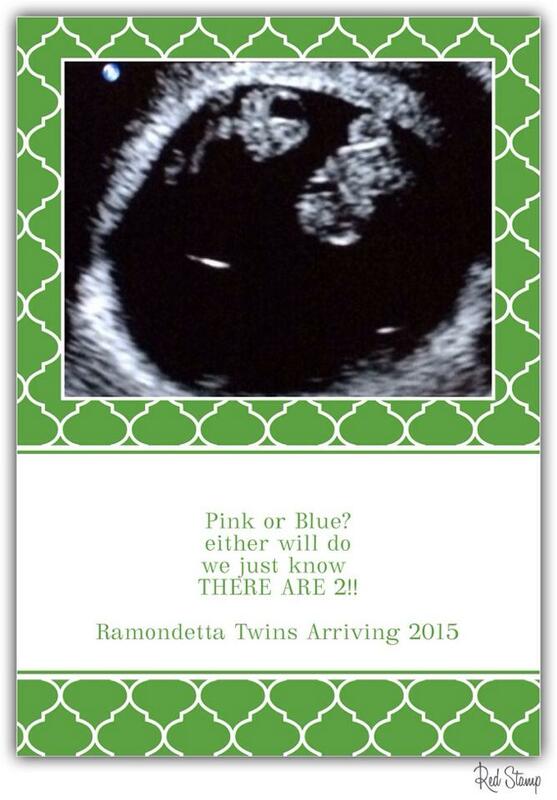 Emily (my sweet wife) is pregnant with identical twins! Here’s a pic of Emily’s first sonogram–many more to go! Oh…my…Word! We are truly grateful to God–kids are a heritage and reward from the Lord! All is great so far–please pray:) We are also thankful for our sweet church family (Emmanuel Baptist Church)! Your warm support and love we received this past Sunday was much appreciated! What’s Happening this Fall at EBC? Jonah is… Running from God—Sundays at 11 a.m. This past Sunday we started a new Sunday morning sermon series out the Old Testament book of Jonah called “Jonah is…running from God. As we ended Jonah chapter one, Jonah is in the belly of the great fish! This week we will dive into chapter two and see how we can run to God instead of running away from God! After our 6 p.m. evening service, on August 31st , we will have a time of food and fellowship at Firehouse Subs. This is a great way to connect with others, build relationships, and eat some great food. Revelation Revealed—Wednesdays at 7 p.m.
Be a part of our Wednesday night ministry at 7 p.m.! Dr. Charles Shoemaker will be leading our adult Bible study for the next 4 weeks with a great study from the book of Revelation! The Resistance teen ministry (grades 7-12) and the Kids Zone kid’s ministry (K4-6th grade) also meet on Wednesday at 7 p.m. We have a loving nursery for children 0-3 years of age as well. Thank you to all those who contributed to the Resistance youth fund raiser. They will be going to Disney’s Night of Joy on September 5th and 6th. Please pray for safety and that God will work in each heart. Be sure to tell your grandparents how much you love and appreciate them and bring them to church on this special day! There will be no Sunday evening service. We invite you to spend this time with family. The Men’s Prayer Breakfast will be Saturday, September 13th at 8:30 a.m. at Hardees. We will meet for a time of fellowship and prayer. We will be remembering the sacrifice Jesus made on the cross and His glorious resurrection during our communion service. Prepare your hearts and plan to attend, on September 21st at 6pm. God richly blessed our Stewardship Sundays last year and I’m real excited about this year! Our Stewardship Sundays will be during the entire month of October: the 5th, 12th, 19th and 26th. Our theme will be “Giving My Best!” Each stewardship Sunday we will have a joint Sunday school class at 10 a.m. (teens and adults) and Sunday worship services at 11 a.m. and 6 p.m. Each time we meet together we will be inspired to give our best to God right here at Emmanuel Baptist Church. God has been so faithful to us throughout this year! We praise Him for working and look forward with great anticipation for what he will do during our fall season at EBC! The good news is that you can participate and help make it the best fall season ever. Join me in taking steps to a closer devotion to Jesus and commitment as a church family member here at EBC. Let’s be faithful to pray, attend the services, serve, tithe and give, love one another, and do our part to help our church grow together! I am looking forward to what God will do in you and me this fall! Are you excited about the fall season? Has God been working in your heart and life at EBC? Let me know by leaving a comment!